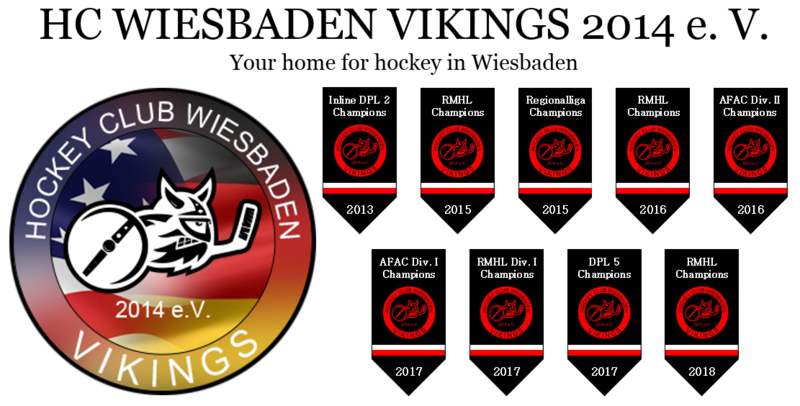 MEMBERSHIP / ANMELDUNG – HC WIESBADEN VIKINGS 2014 e. V.
To join HC Wiesbaden Vikings 2014, e.V., you must complete the membership form attached below and pay your annual fees in full. Payment may be accomplished by paying in cash, by paying via electronic transfer to the club’s German bank account, or through PayPal. If you transfer money or pay through PayPal, please immediately notify mail@wiesbaden-vikings.com.